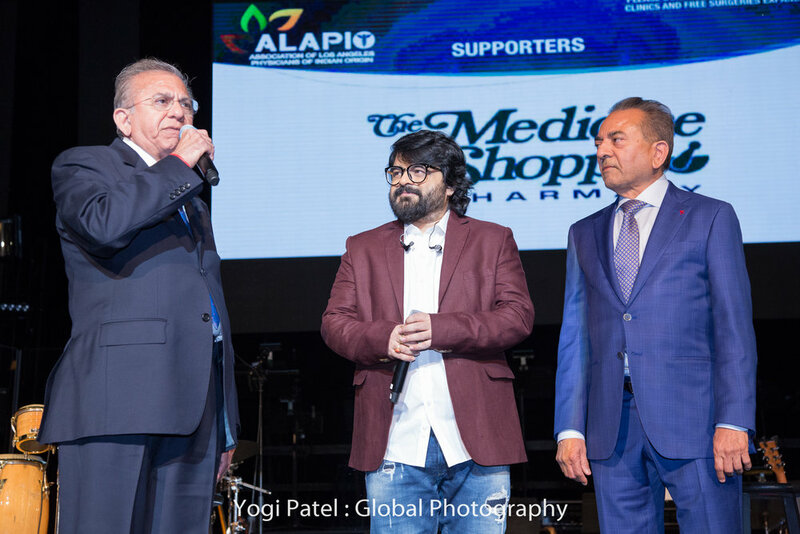 ENJOY THE CONCERTS AND SUPPORT ALAPIO FREE SURGERIES WITH YOUR TICKET PURCHASES!!! 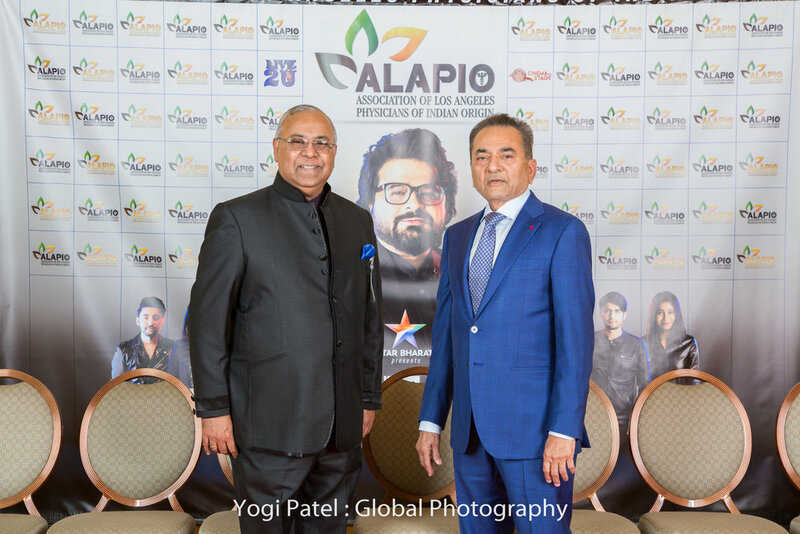 BOOK YOUR TICKETS NOW AND DON’T MISS THESE ALAPIO SPONSORED EVENTS!! 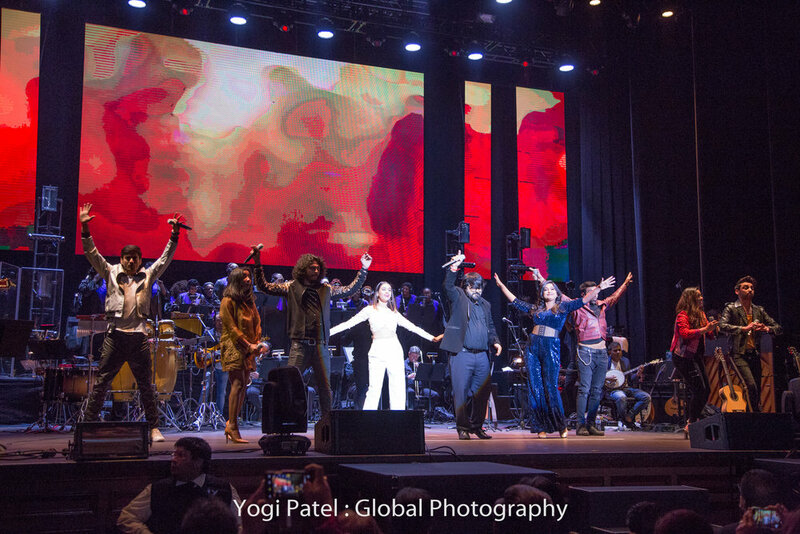 Your ticket purchases are tax deductible. 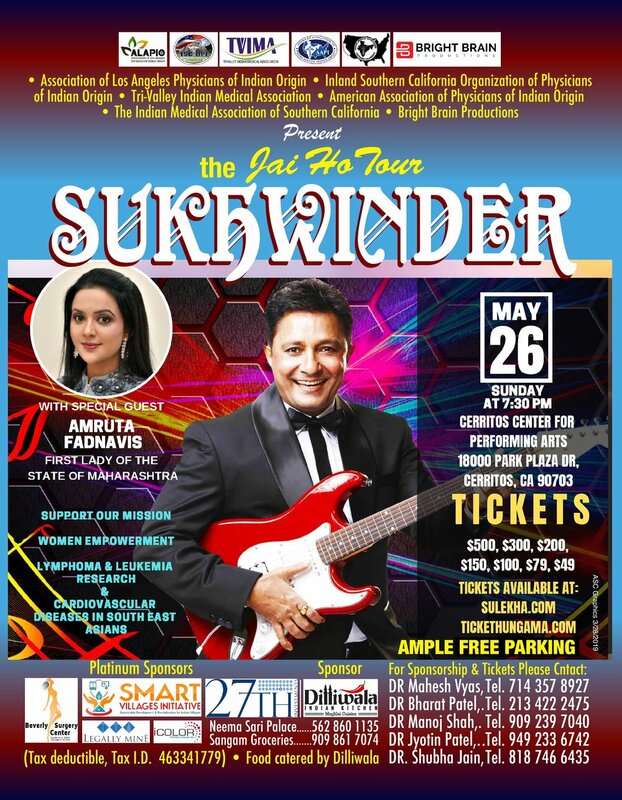 TICKETS ON SALE NOW FOR MAY 26th SUKHWINDER CONCERT!! 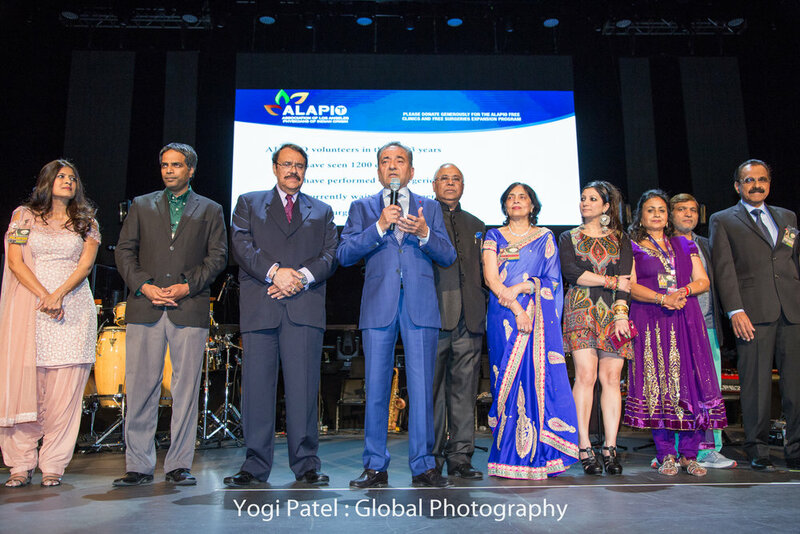 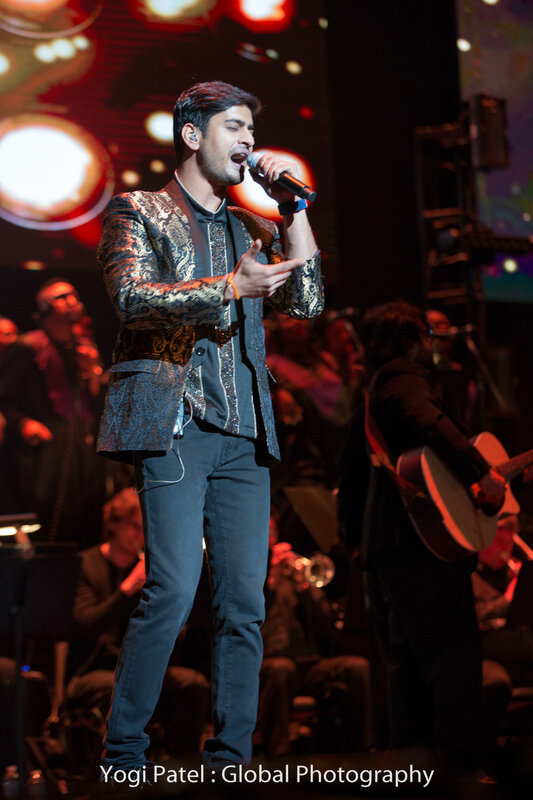 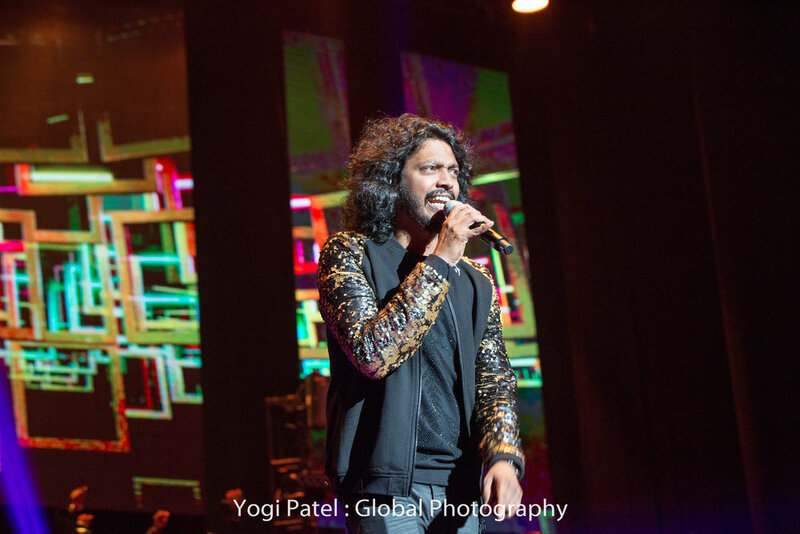 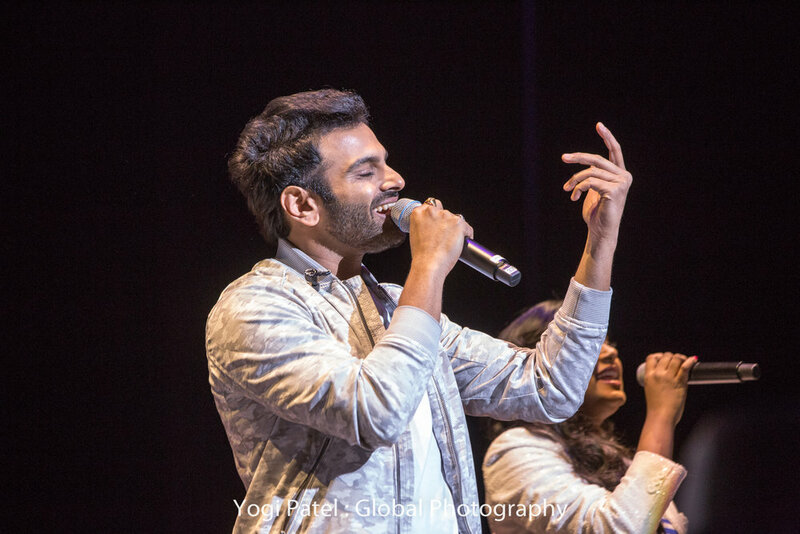 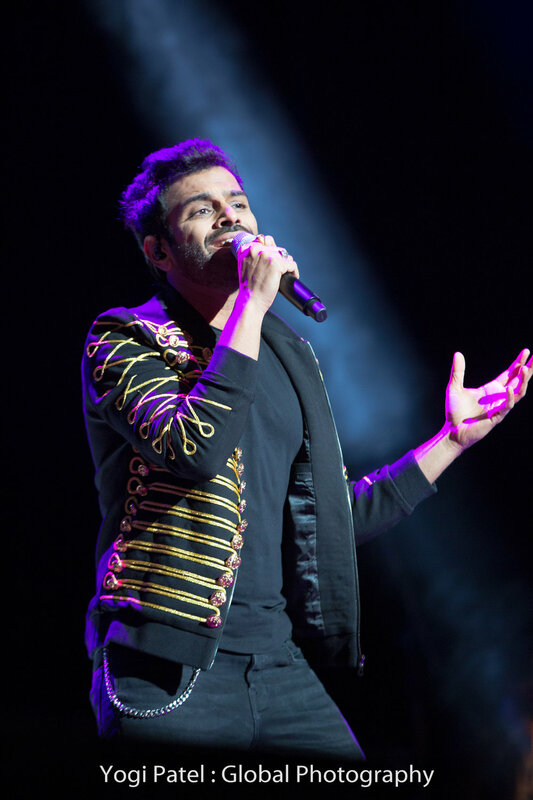 ALAPIO members actively pursue fundraising activities which benefit the organization, including the successful 2014 Shreya Ghoshal, 2018 Pritam, 2019 Arijit Singh & Sukhwinder Concerts! 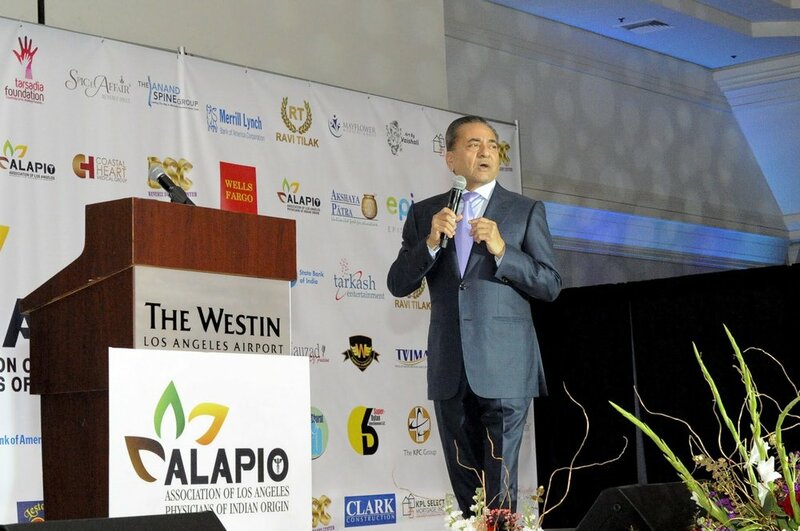 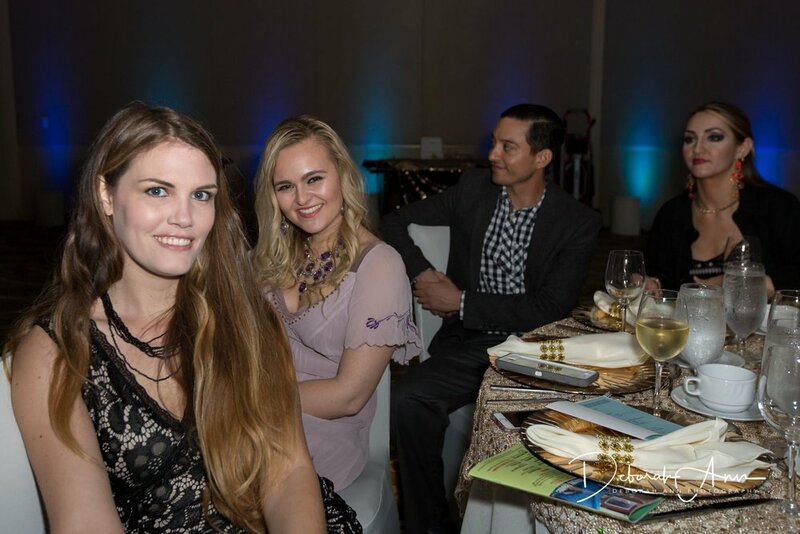 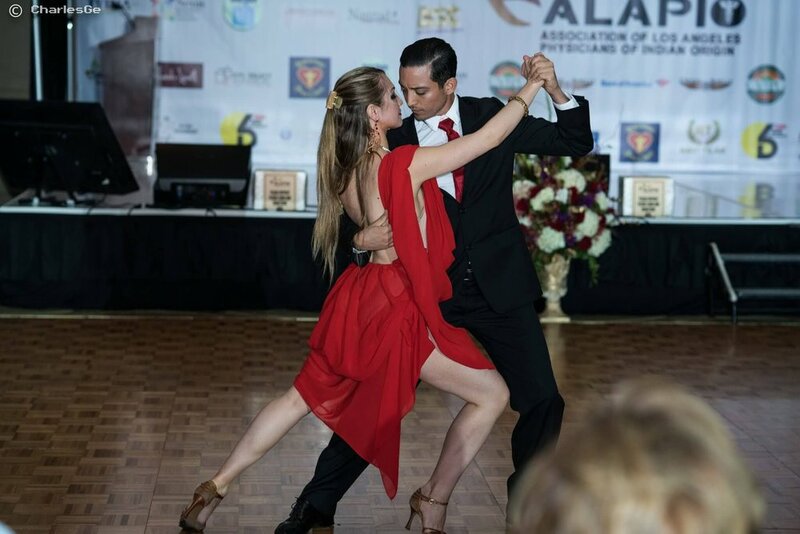 In 2017 ALAPIO hosted its first Gala Banquet at the Westin Hotel in Los Angeles. 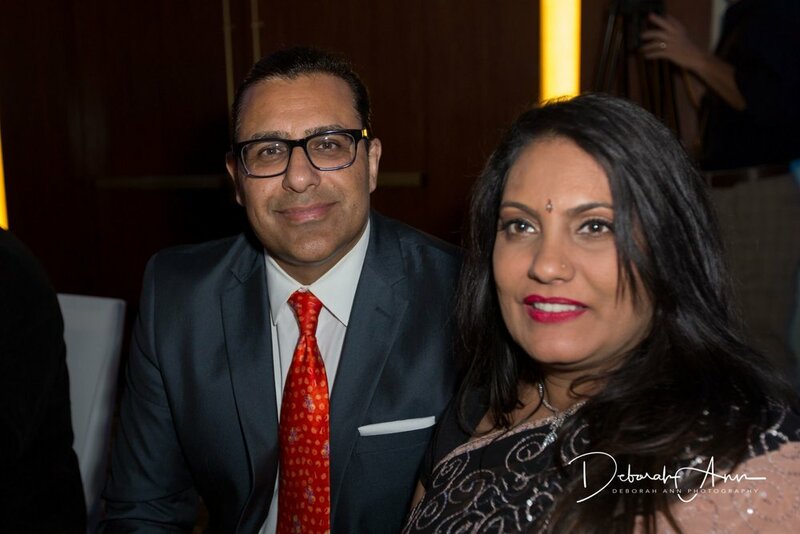 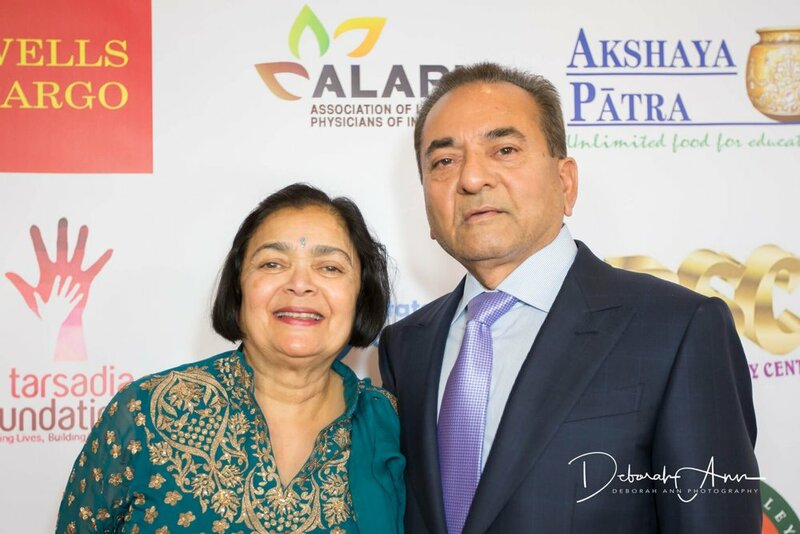 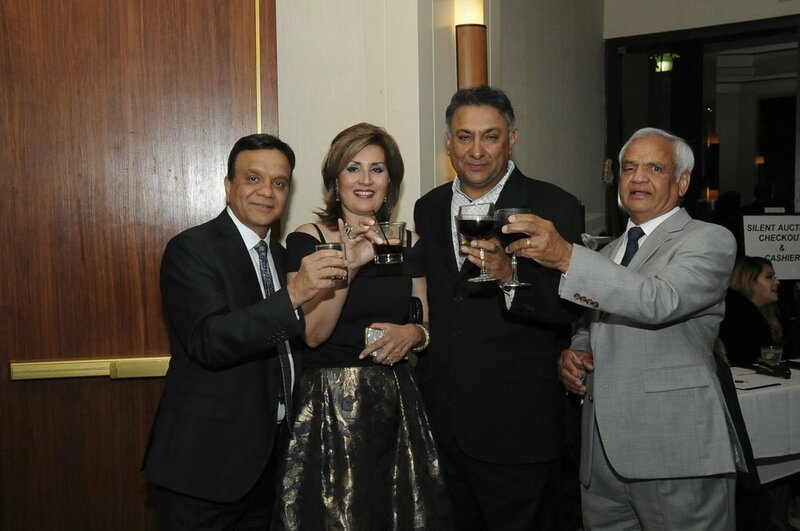 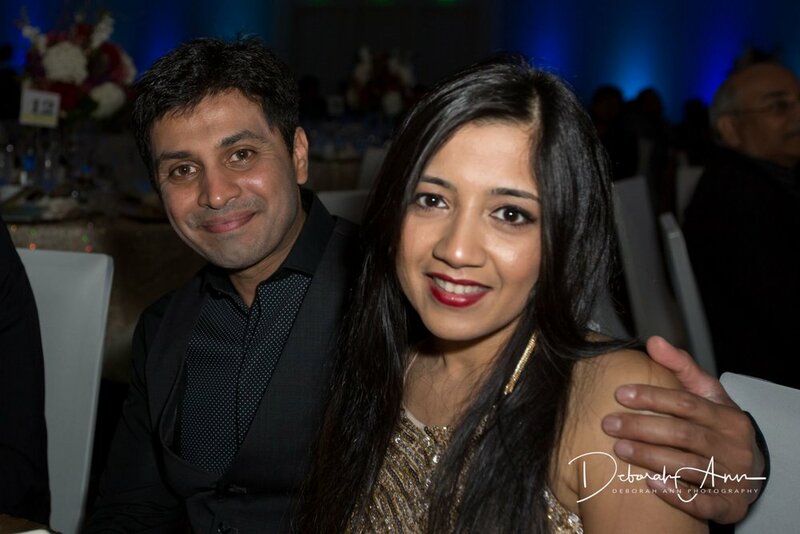 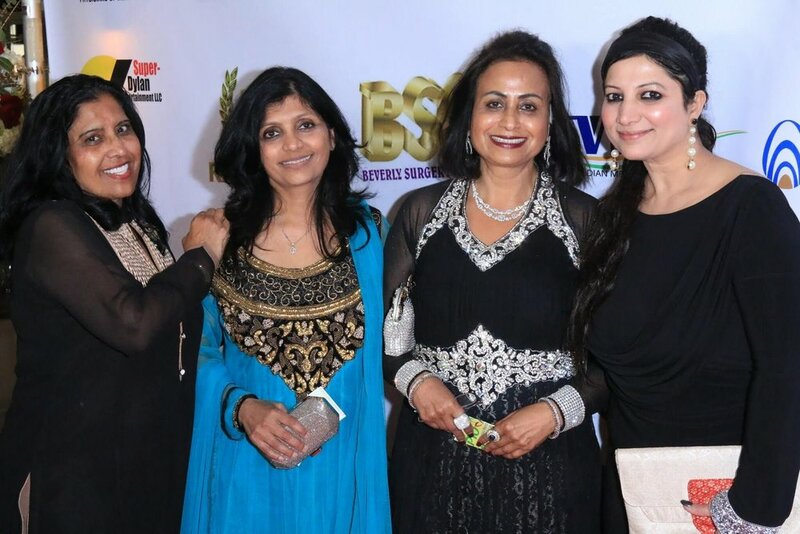 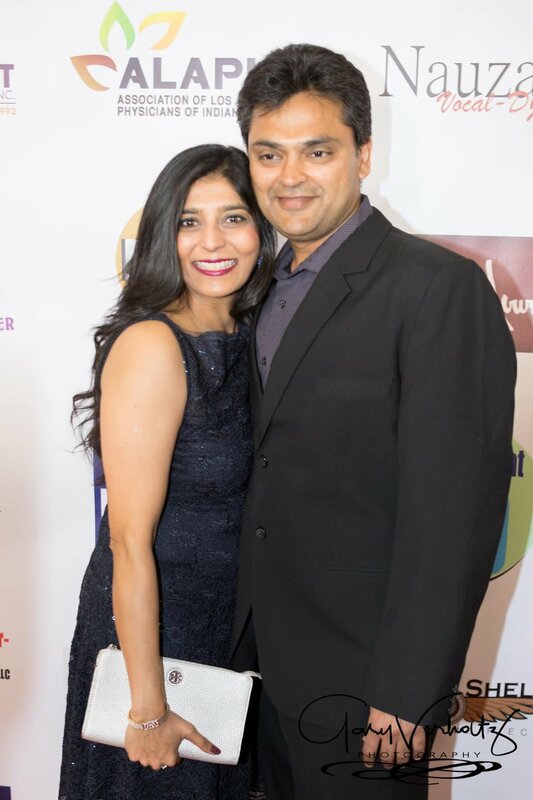 LOS ANGELES — The Association of Los Angeles Physicians of Indian Origin held its first charity fundraiser at the Westin Hotel on Mar. 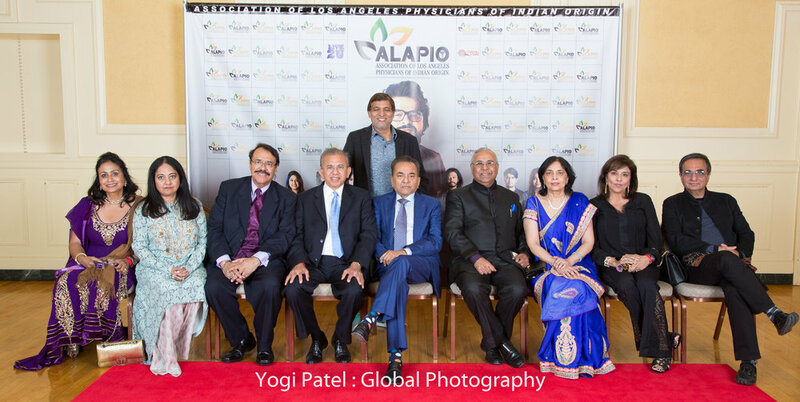 18th, featuring a program of glamour and glitz, with ALAPIO members in attendance, including Dr. Bharat Patel, Dr. Parvin Syal, Dr. Swaraj Bose and others. 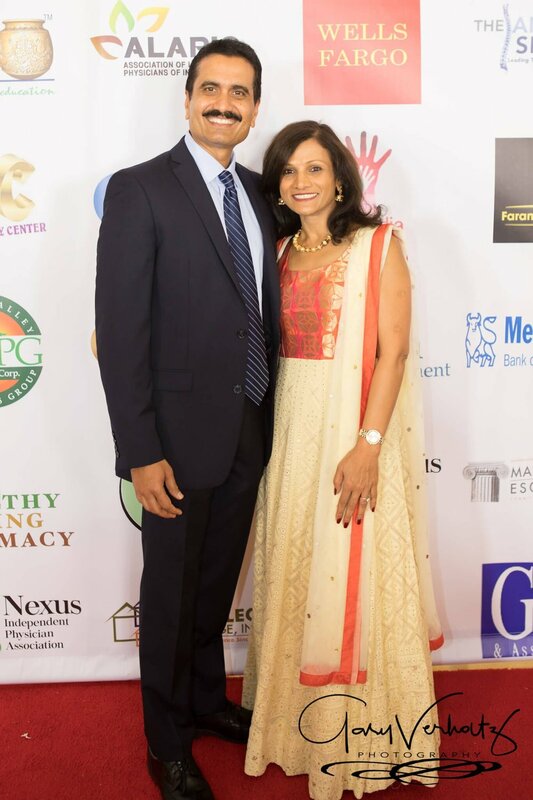 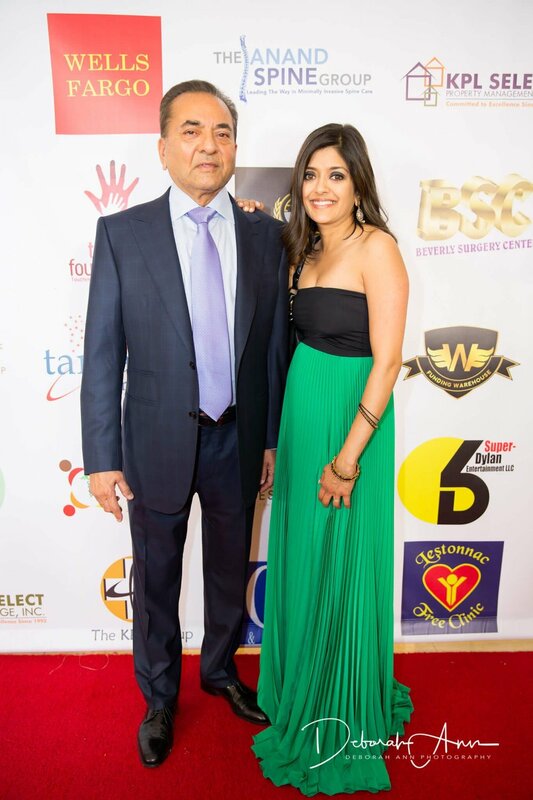 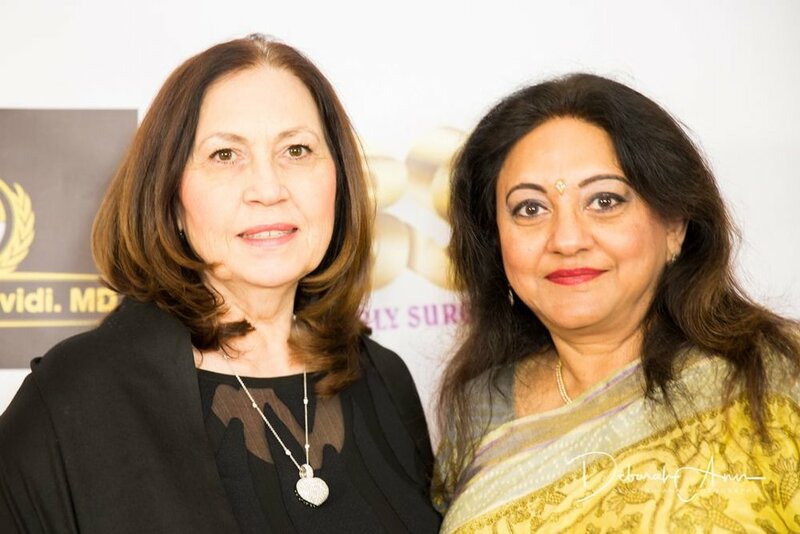 The event attracted about 600 people not only from the Indian American physicians’ community, but also prominent members of the business community and industrialists from Southern California. 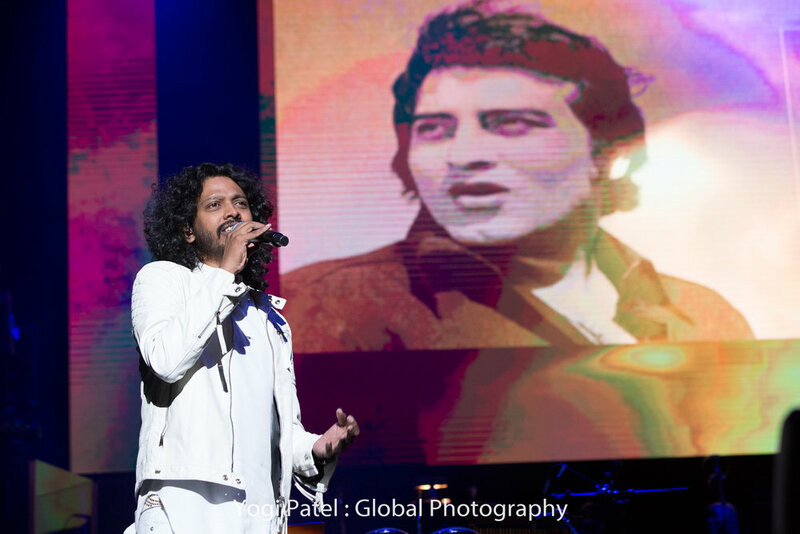 For decades Hindustani film music has been dominated by the nightingale of India, Lata Mangeshkar, and there has been speculation as to who would assume the mantle of a worthy successor to the great singer. 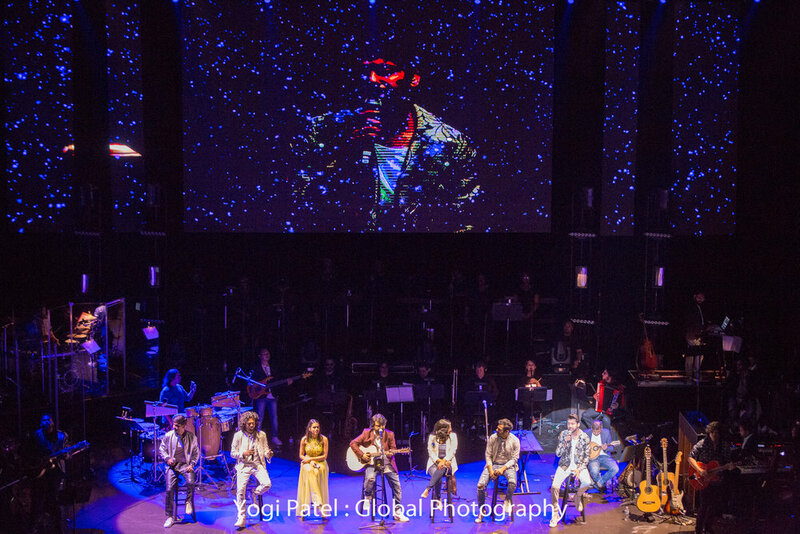 Music circles in India and critics alike concur that Shreya Goshal is that person. 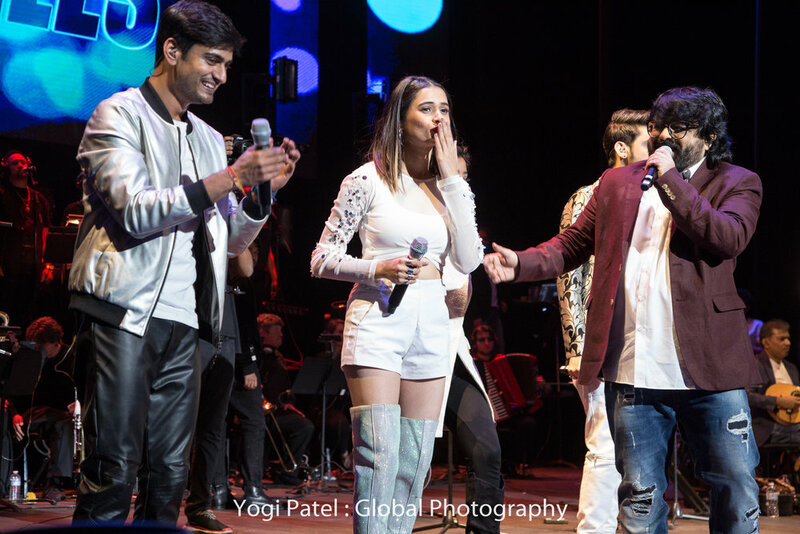 Although Shreya started singing at the tender age of four, her public adulation began with her victory, in 1999, at the age of 13, of the popular SaReGaMa competition on Zee TV. 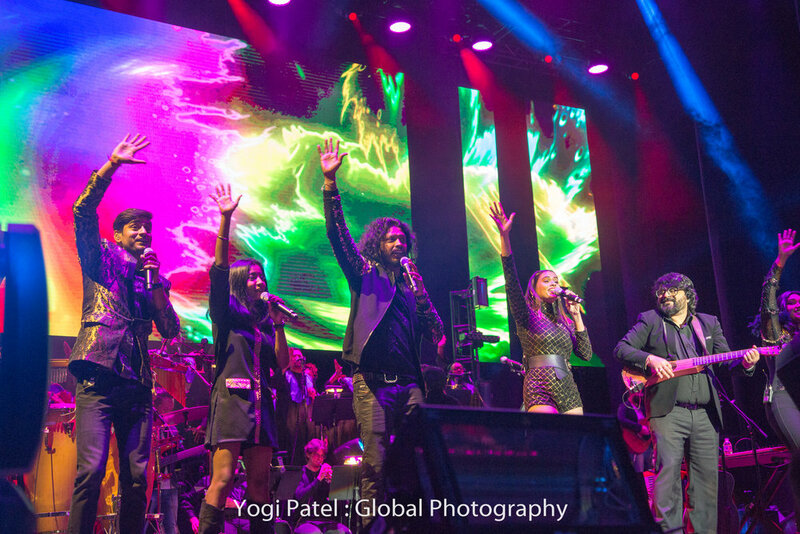 Legend has it that famed director, Sanjay Leela Bhansali noted her talent during this show and sought her out for singing the songs of his acclaimed movie, ’Devdas.’ She was only 16 when this happened. 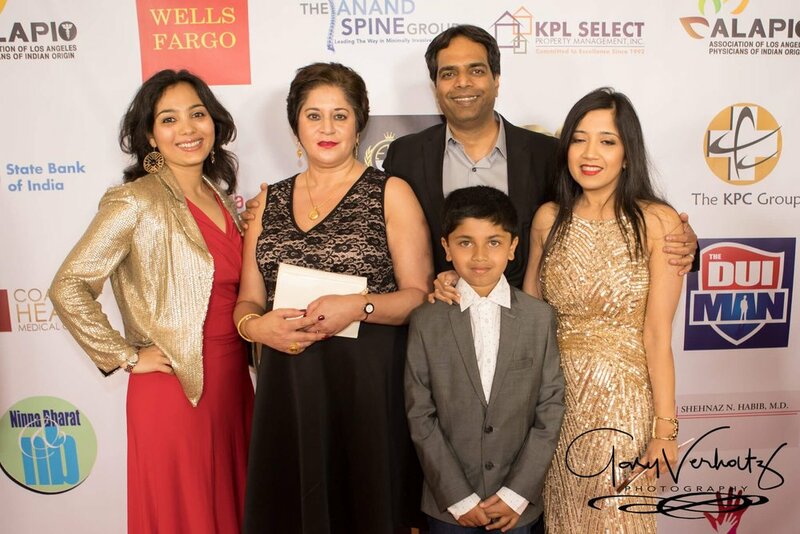 Since her debut in the film industry, Shreya went on to sing melodious songs in films that garnered her a multitude of awards including the coveted National Films Award. 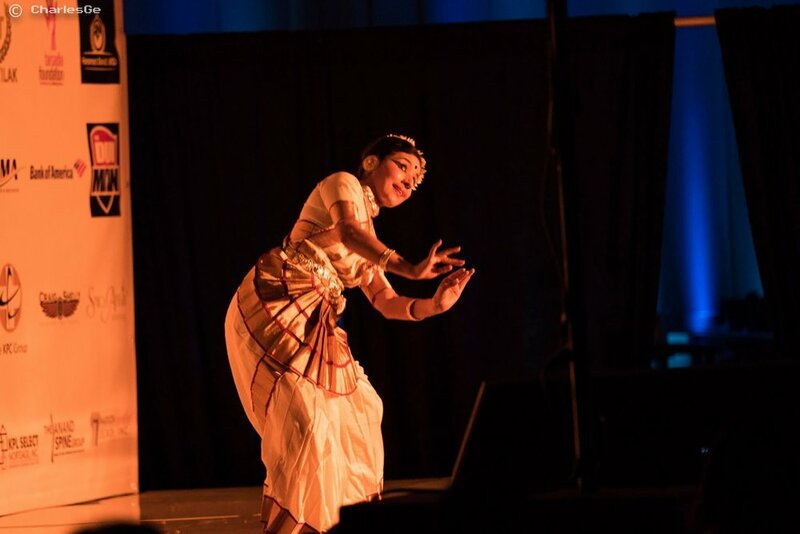 She won recognition from her peers who valued her for her sweet demeanor, her mischievous smile, her discipline and her dedication to the art and craft of music. 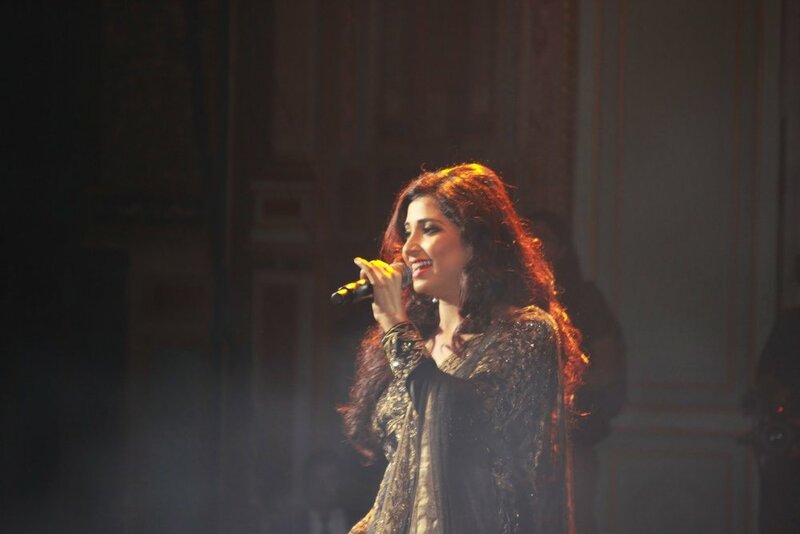 Blessed with a crystal clear voice and harmony in her notes, she captured the hearts and minds of all. 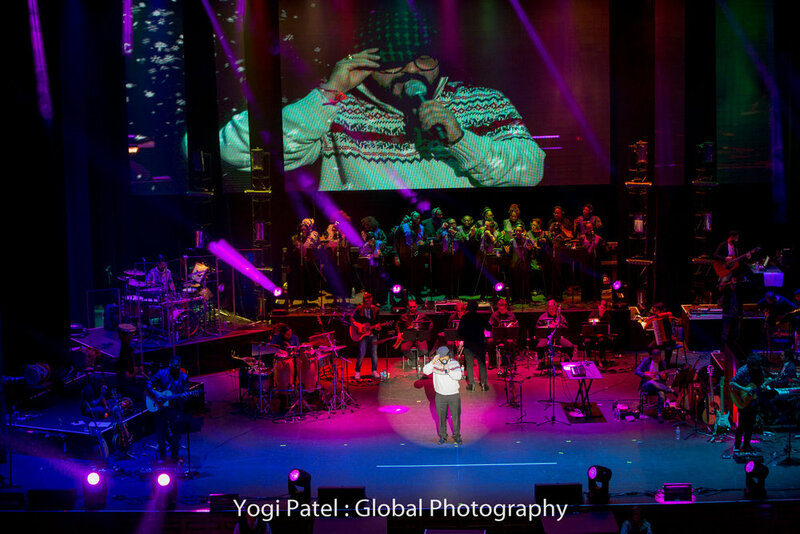 There was a demand for her to perform internationally and she was soon on the eminent stage, famous of international performers- the Wembley Arena in London. 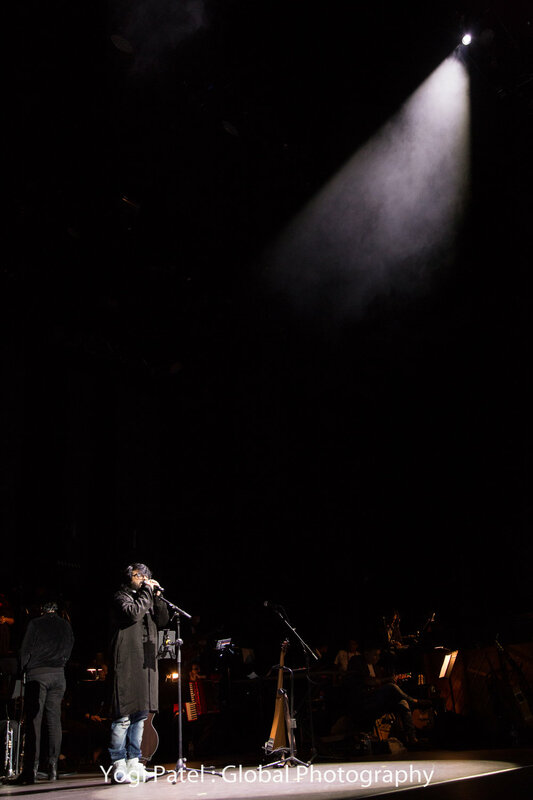 She also performed at the prestigious Sydney Opera House, in addition to venues in New Zealand, UAE, and the US. 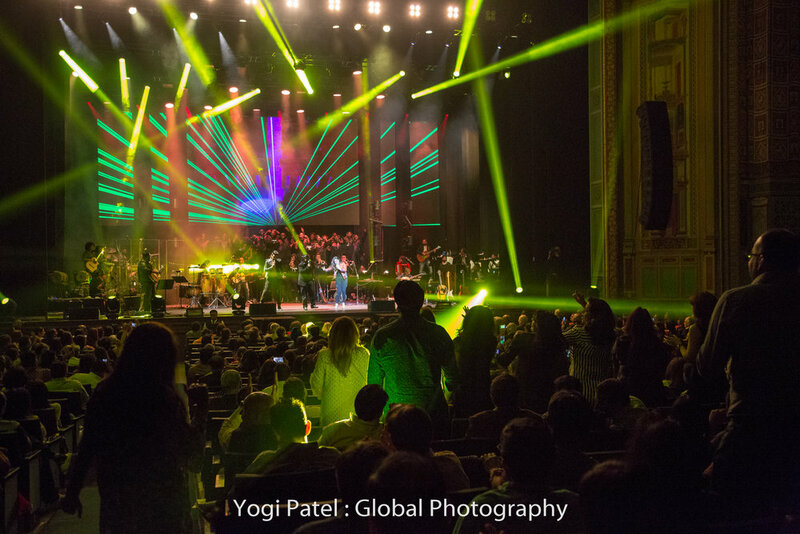 It is a matter of pride for Los Angeles that Shreya will be seen again at the Pasadena Civic Auditorium at the end of August 2014. 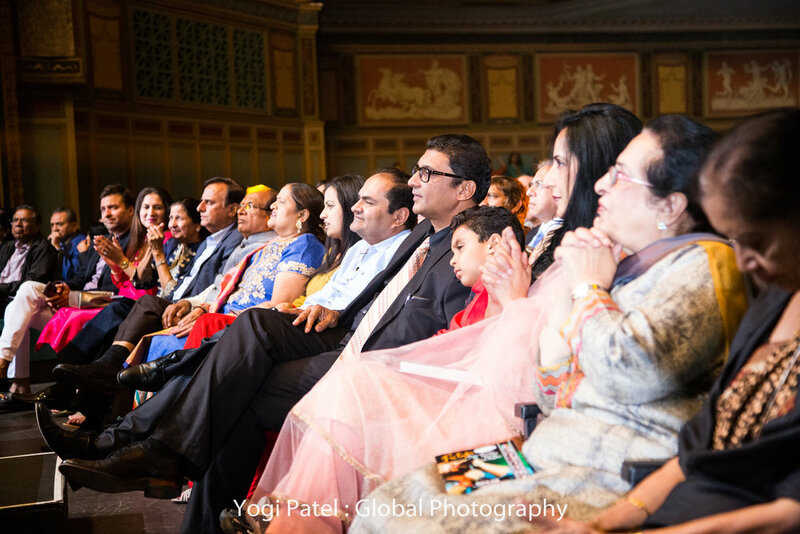 Audiences will be enthralled by this symbol of perfection in rhythm and melody, a worthy successor to Lataji indeed. 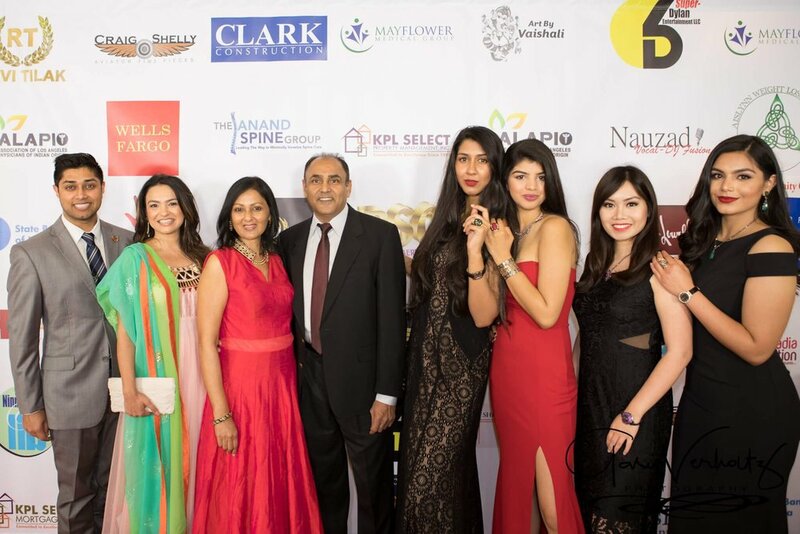 Association of Physicians of Los Angeles of Indian Origin and all of southern California is looking forward to an exciting and energetic charity fundraising show with musical legend, SHREYA GOSHAL!! 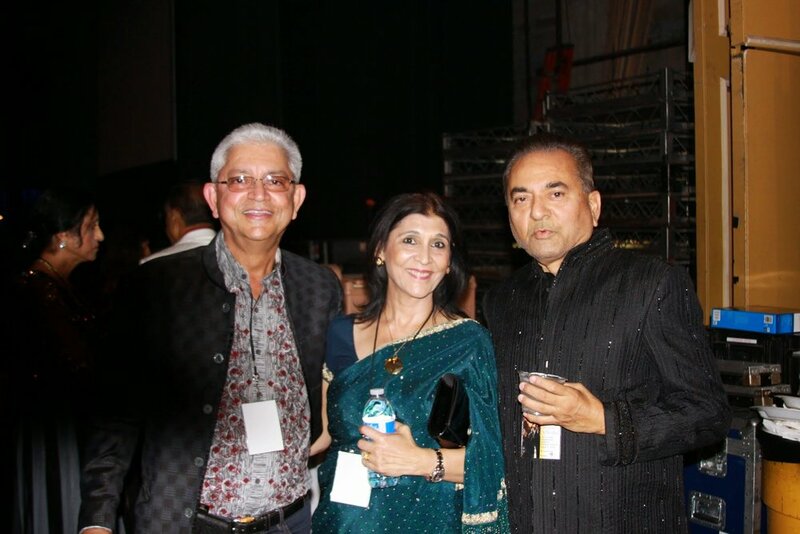 ALAPIO hosted Paresh rawal Play“Kishan vs Kahnaiya“on Sept 6th at Redondo Beach Performing art Center. 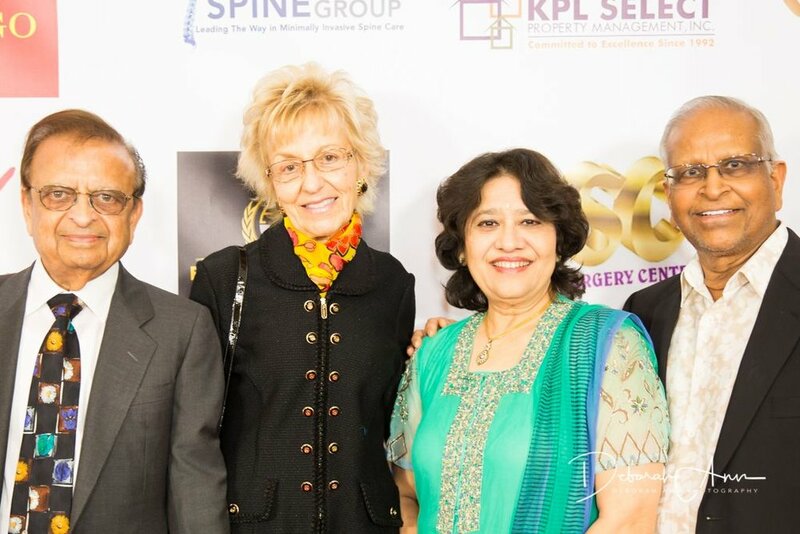 About 800 people attended. 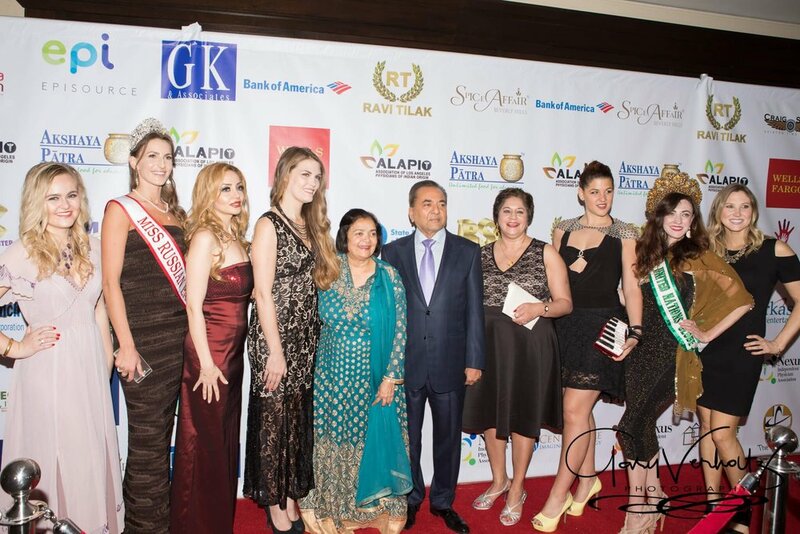 Funds raised will be used for free medical clinic and free surgeries organised by ALAPIO. 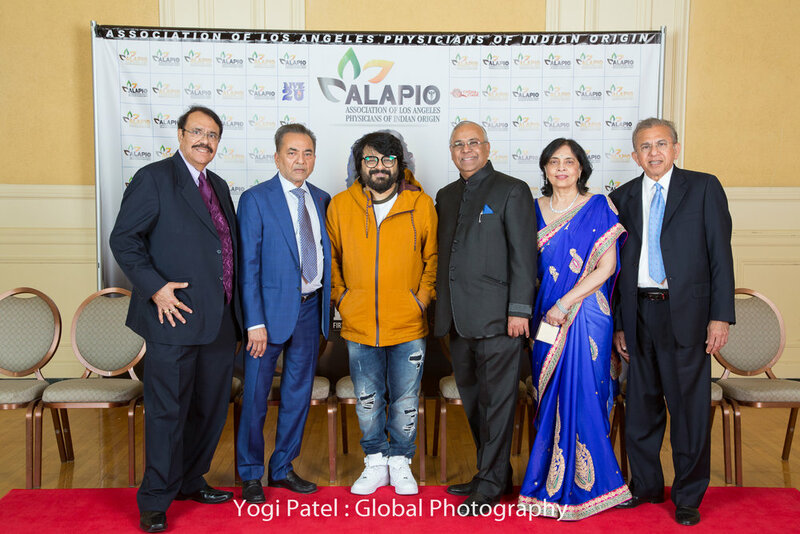 ALAPIO also participated in Anupam Kher's play “Mera Who Matlab Nahi Tha“ at Plummer auditorium in Fullerton, California. 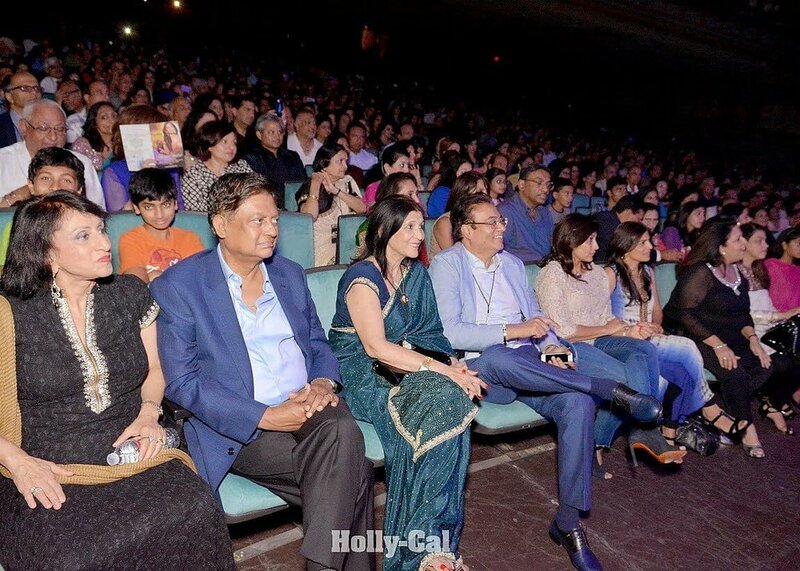 It was attended by 1200 people.